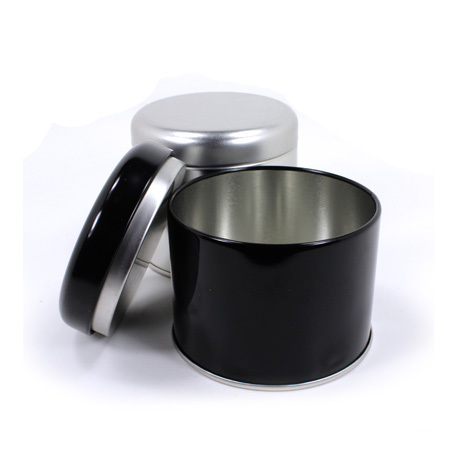 Great size tin for gift packages and retail, this 3 oz cylinder tin can is made with a unique "edgeless" design which makes the tin itself looks smooth and appealing. 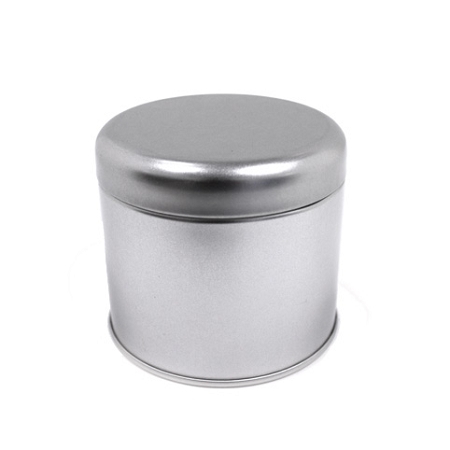 Tins are stackable and perfectly designed for tea or small pre-packed specialty products. Please send an email to savonbags@gmail.com to receive a free quote. Please provide the tin type, tin size (i.e. 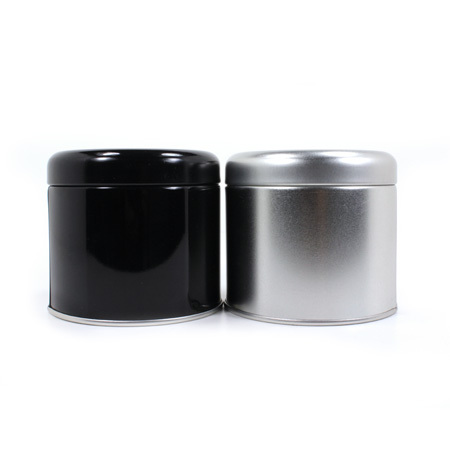 3 oz), and interested quantity your looking to purchase. I love these. 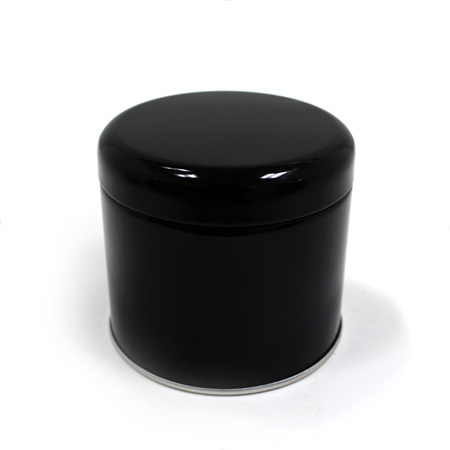 The black is so sleek looking and it closes securely.